Mayor Patricia de Lille has announced that her DA-led council has made significant progress in the two-and-a-half years they have been running the City. Addressing the press, de Lille said for their five-year term of office they set out to create a city of opportunities, one that is safe, caring inclusive and well-run. 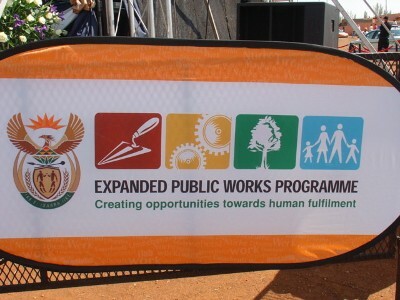 On job creation, she said thus far they had created 37 000 work opportunities from 228 projects through the Expanded Public Works Programme (EPWP). In its mid-term review report, the city said the EPWP provided short to medium term poverty relief measures for poor and unemployed residents and assisted in improving service provision. The report said more than R60 million has been paid out in fortnightly wages during this financial year. De Lille said the city spend 64% of its service delivery budget on the provision of services to the poor. She said they have prioritized a “massive allocation of resources” to improve living conditions in informal settlements, specifically in the provision of electricity, water and sanitation, refuse removal, area cleaning and rodent control. She said in this financial year, the departments of water and sanitation, electricity services and solid waste had budgets of about R520 million; R292 million and R141 million respectively to provide services to informal settlements. De Lille said due to the city’s “established track record at the mid-term, we anticipate even more people will come to Cape Town in search of a better life”. However, she noted service delivery challenges continued to exist due to the city growing by 30% over the last ten years as according to the 2011 census figures. ANC chief whip in the council, Xolani Sontashe, dismissed the city’s mid-term review as a “PR (public relations) exercise. “We do not take them seriously,” said Sontashe. He said in the period under review, the city had been riddled with several scandals, which the ANC had uncovered. As an example, he cited the investigation into the awarding of a R9 million tender for the decommissioning of the Athlone Power Station, which his party had deemed anti-competitive and unfair. While the ANC did not support the recent violent service delivery protests in the city, he said protests were signs that residents were “revolting” against a lack of service delivery from the city.